Nairobi, 22 February 2012 - Starting from an office above a supermarket 40 years-ago, the UN Environment Programme (UNEP) was today modernized into a strengthened and upgraded institution better able to meet the challenges and opportunities of the 21st century. The decision, by ministers of the environment meeting at the UNEP Governing Council, implements the call by Heads of States and governments in the Future We Want forged at the close of Rio+20 last June. Governments this week also backed more predictable, stable and increased funding for UNEP from the UN Regular Budget by 2014 -underlining increasing confidence in UNEP's ability and role to deliver the environmental dimension of sustainable development. Ministers meeting for the first time under universal membership of 193 member states- again as a result of the decisions taken and adopted last year at Rio+20 and the UN General Assembly later in the year- adopted a welter of other decisions relating to the way UNEP will operate and work as the global platform for environmental policy-making and action over the coming years and decades. Governments called for the transformation of the existing Governing Council into a UN Environment Assembly of UNEP and to build stronger links between UNEP's science-based Global Environment Outlook process and its ministerial meetings - further implementing the call by member states at Rio + 20 to strengthen the science-policy interface. Achim Steiner, UN Under-Secretary General and UNEP Executive Director, said at the close: "The theme at this historic, universal membership Governing Council was Rio+20: From Outcome to Implementation - and that was precisely what happened over the past five days". "Ministers responsible for the environment implemented the strengthening and upgrading of UNEP to an institution better equipped and resourced to serve the planet and its people to meet the ever growing challenges posed by ecosystem degradation to the growth of greenhouse gas levels in the atmosphere while catalyzing transformational change to seize the equally fast growing opportunities for a sustainable development path change," he said. "Meanwhile ministers responsible for the environment took also took forward the wider implementation of the Rio+20 outcome document - the Future We Want - across a broad sweep of issues and actions from support for 30 countries to make a green economy transition; building a stronger science-policy interface, and strengthening the exercise of environmental laws to fast tracking action on persistent and emerging issues, support for renewable energy under the UN climate convention and the decade long initiative on decoupling natural resource use from economy growth - in short the 10YFP," said Mr Steiner. "Heads of State at Rio+20 grasped the sobering science, laid out in reports like UNEP's Global Environment Outlook-5, and put in the foundations for new pathways and new directions to achieve a sustainable century - here ministers and delegations from over 150 nations have been the architects and designers of an evolved UNEP with greater authority, impact and pathways to deliver the Future We Want," he added. The CTCN will work on leap-frogging the technical and financial hurdles to the even greater take-up of clean and renewable energies to low carbon tranportation and energy efficient buildings. 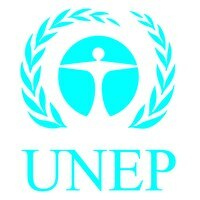 The UNEP-hosted initiative will assist countries in areas from sustainable public procurement, lifestyles and education to sustainable buildings and construction and sustainable tourism, including ecotourism - again bringing from outcome to implementation other key aspects of the Rio+20 Future We Want. Governments also decided to convene in October this year an intergovernmental diplomatic conference to formally adopt the Minamata Convention on Mercury that was agreed in January in Geneva under a UNEP-facilitated negotiation-again a further implementation of the Rio+20 outcome document. The mercury treaty, aimed at reducing releases and emissions of a notorious health-hazardous heavy metal from source such as artisanal small-scale mining, medical equipment and power stations, will open for signature at the conference in Japan en route to ratification and coming into force. The summary by the President of the Governing Council, Hassan Abdel Hilal, Minister of Environment, Forests and Physical Development, Sudan, noted that many ministers called for a driving forward of the Green Economy in the context of sustainable development and poverty eradication. Several suggested that efforts should initially focus on areas where fast action might happen soonest including in area such as energy, water and agriculture. UNEP unveiled the Partnership for Action on a Green Economy (PAGE) in order to implement the outcomes of Rio+20 and meet the needs of countries keen to join such a transformation. PAGE, which will initially support 30 countries on Green Economy work, is backed by UNEP, the International Labour Organization (ILO), the United Nations Industrial Development Organization (UNIDO) and the United Nations Institute for Training and Research (UNITAR). The meeting also discussed the role of the environment in the post-2015 agenda and the discourse surrounding the development of a set of Sustainable Development Goals (SDGs) which was informed by the presence of Amina J Mohamed, United Nations Secretary-General Ban Ki-moon's Special Adviser on Post-2015 Development Planning. Governments also gave a big boost to environmental law, building on the UNEP-convened World Congress on Justice, Governance and Law for Environmental Sustainability held during Rio+20 last June. Ministers and delegates today asked UNEP to lead the United Nations system and support national Governments in the development and implementation of environmental rule of law including boosting information disclosure, environmental auditing and independent dispute resolution. A medium-term strategy for UNEP's work up to 2017 was also adopted focusing on themes outlined in the Rio+20 outcome across seven priority areas while approving a more detailed work plan for the organization for 2014-15, which provides for strengthened responsiveness to country needs and more funds for direct activities including via a re-structuring of elements of UNEP's finances to be more stable and predictable via an increase to be approved from the UN Regular Budget. In advance and during the Governing Council UNEP launched a series of reports and hosted awareness-raising events and meetings of other stakeholders aimed at improving the science base available to policy makers, prompting further transformative action, and highlighting key issues the organization will be working on in 2013 and beyond. A UNEP-World Health Organization report on endocrine-disrupting chemicals unveiled new science on this subset of chemicals, which affect the hormone systems of humans and animals. Many such chemicals are untested for their effects, and The State of the Science of Endocrine Disrupting Chemicals called for more research to understand fully the associations between these chemicals, found in many household and industrial products, and specific diseases and disorders. UNEP and the Food and Agricultural Organization off the UN's Think.Eat.Save. Reduce Your Foodprint campaign on cutting food waste hosted a reception dinner for hundreds of policy makers. The campaign - whose web site is www.thinkeatsave.org- is in support of the UN Secretary-General's Zero Hunger Challenge. The reception highlighted the scale of waste in Kenya and globally by preparing the meal from almost 2,000 kilogrammes fruit and vegetables that had been rejected by UK supermarkets for cosmetic reasons. Young people representing over 100 countries at the UNEP Tunza International Youth Conference, which took place in Nairobi a week earlier, issued a statement to the Governing Council calling for governments, business, cities and civil society to support UNEP's campaign. The Tunza youth statement also called for reduced food waste and loss to be a post-2015 development target as a Sustainable Development Goal. Also on the topic of the global food system, the UNEP-commissioned report Our Nutrient World laid out how humans - in pursuit of greater food production- have in many areas altered the natural flows of nitrogen, phosphorus and other nutrients, causing a web of water and air pollution. The UNEP Year Book 2013 highlighted the accelerated melting of sea ice in the Arctic, urging caution on moves to take advantage of the retreating ice to exploit resources and open up shipping routes. It also highlighted a spike in the illegal wildlife trade that has sent the numbers of elephants and rhinos poached soar - an issue that UNEP and its related conventions such as CITES are bringing to the attention of the global public. During the meeting for example UNEP signed an agreement with Shanghai, one of the world's most-populous cities, to promote awareness among the city's citizens of negative consequences of the illegal wildlife trade. The day before the Governing Council got underway, the Network of Women Ministers and Leaders for the Environment (NWMLE) and UNEP hosted the second High-Level Gender Forum. The forum participants called upon ministers and environmental leaders to have dedicated officials for coordination of related gender and environment programmes and agreed to send a consolidated proposal on gender actions to be forwarded for consideration by UN Secretary General's High-level Panel of Eminent Persons on the Post 2015 Development Agenda. The women ministers also requested nations to support the ratification of the Minamata convention on Mercury, which opens for signing in October. Dozens of media roundtables and side events on issues such as the Green Economy, poverty and environment linkages, Sustainable Consumption and Production, renewable energy, climate change, REDD+, sustainable transport, and the post-Rio+20 environment and Sustainable Development Goals. To see this story check here.